Brio is a performing choir open to boys and girls in grades 2-3 who would like to explore and experience singing, music and fun! No audition is necessary. The Brio Choir appears in our major concerts and community events. Performance in concerts is dependent on maturity and stage presence. Rehearsals take place in San Luis Obispo from 4-5pm at United Methodist Church on Tuesdays. Directed by Eden Bywater. Cadence is open to boys and girls in grades 4-7. No prior singing experience is necessary, nor is an audition required. Vocal coaching and the teaching of musicianship skills is an integral part of rehearsal. Cadence participates in major concerts and community events. Rehearsals are from 4:00-5:15pm at United Methodist Church on Tuesdays. An auditioned extension will be available to older singers in this group, called CADENZA, and will rehearse an additional 30 minutes from 5:30-6pm. Cadenza is an auditioned subset of Cadence, usually for singers in grades 5-7. Cadenza singers will typically sing in the same performances as Cadence, with added local opportunities and additional combined performances with upper choirs. Additional pieces of music will be selected for these singers to build their vocal ability and prepare them for the transition to Vivace in the years ahead. The Young Men’s Ensemble has been designed for both changed and unchanged voices. Young men in grades 6 and up are encouraged to join. No audition is required; regular voice checks will be a part of rehearsal. YME will join Vivace on selected songs. Rehearsals are from 4-6:15pm, directed by Paul Osborne. Vivace is an auditioned choir for young women in grades 7 and up. Singers perform repertoire from classics to 4-part a cappella and all styles in between. They are required to have vocal independence and developed musicianship skills. Vivace sings in all major concerts, choral festivals, and has opportunities for traveling and touring. They collaborate in performances with local adult groups such as OperaSLO, the SLO Symphony, SLO Vocal Arts Ensemble, and SLO Master Chorale. Rehearsals are Tuesdays from 4:00-6:15pm, directed by Melody Svennungsen. Vivace begins the year with a weekend retreat first weekend of September. Auditions can be scheduled by contacting our office at info@centralcoastyouthchorus.org. AVE is an auditioned chamber group made up of Vivace members that are usually ages 16+ (recommended ages—some exceptions may occur). A year-long commitment from a prospective AVE singer is preferred by directors in order to build a strong ensemble. 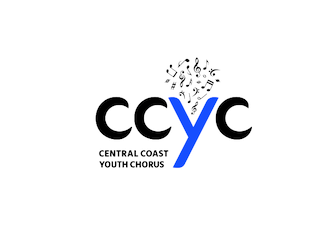 AVE members are expected to make choir a priority, and realize that membership means acting as ambassadors for CCYC. The time commitment is greater, as AVE is involved with more outside (unscheduled) performances. Members are required to memorize and work on music independently, as well as attend extended Tuesday, and some weekend, rehearsals. They also act as mentors and section leaders for Vivace. Musically, members are expected to understand and be able to apply intermediate theory skills, learn difficult music (often a cappella), and hold their own part independently. Excellent work ethic, focus, and mature comportment is expected in rehearsal, on stage, and as audience members. Directed by Melody Svennungsen. Auditions can be scheduled by contacting our office.